Another donation to Israel from the US taxpayers - more than double the US$240 million donation to Lebanon. The United States Congress on Friday approved an additional $500 million for developing joint defense projects with Israel. The funds will be allocated between many different projects, including the development of a short-range missile interception system, navigation systems for missiles and combat aircraft, and aerial drones.The money is not part of the regular military aid to Israel, which currently stands at over $2 billion. The Senate authorized the funding after it was approved by the House of Representatives on Thursday. The amount approved by Congress is well in excess of the $270 million submitted for approval by the U.S. Government. Fascinating to see the little economy that the UNIFIL has created in Lebanon. A total of $120 million a year at least for south Lebanon. BEIRUT (Reuters) - Lebanon will lose about $2 billion in tourism revenues this year due to a month-long war but the tourism minister is hoping a 15,000-strong U.N. peacekeeping force will help revitalise the industry. A U.N. resolution that ended 34 days of fighting between Israel and Hizbollah last month called for beefing up UNIFIL, a 2,000-strong U.N. force in south Lebanon, with up to 13,000 extra peacekeepers from various countries. Tourism Minister Joseph Sarkis is counting on parents, other relatives and friends of the troops to boost visitor numbers. "We are now preparing a sort of campaign in these countries, to show that Lebanon, the country where their children have come for a peaceful mission, is also a beautiful country, it has an image that is not only war and destruction," he told Reuters. Sarkis, who said he expects around $10 million a month in revenues from UNIFIL soldiers' personal expenditure in southern Lebanon, was already receiving requests for license permits to open restaurants, clubs and coffee shops in the area. "When they have their leave, they go to enjoy a glass of beer or lunch or dinner," Sarkis said, adding that the figure did not include army expenditure on rent or fuel. Sarkis had been expecting $4 billion in revenues from tourists' expenditure and investment in tourism projects but said "we will probably lose around $2 billion because of ... war in Lebanon". Sarkis said he had been expecting over 1.6 million tourists to visit Lebanon this year and on the eve of July 12, around 730,000 tourists had already come to the country. But Hizbollah's capture of two Israeli soldiers in a cross-border raid on July 12 sparked a war in which Israeli air strikes caused $3.6 billion in damage to bricks and mortar. It came at the height of Lebanon's summer tourist season. "The tourists came and on the 12th of July, they received bombs on their heads and they were obliged to escape in a very humiliating way," he said. Sarkis said he expected 300,000-350,000 tourists in the four months to December, providing stability continues and improves. In 2005, tourism was hit by the assassination of former Prime Minister Rafik al-Hariri and other high-profile political killings. 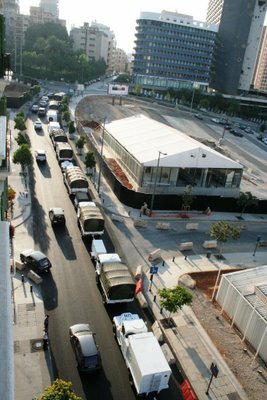 With arrivals to Lebanon 24 percent higher in the first half of 2006 than even in 2004, Lebanese foresaw a major recovery but the war made it impossible. "I would say the main thing that has been damaged is confidence in the country. I say it's easier to rebuild a bridge than to rebuild confidence in a country," Sarkis said. "Tourism needs stability, if there is no stability there is no tourism." But seasonal festivities, including the Eid al-Fitr Muslim feast in late October, should help the recovery, he said. Forty percent of tourists to Lebanon are Arabs and Sarkis said "many hotels, travel agencies and car rentals are informing us they've started receiving bookings from now for the Eid period which shows it's a good thing". Pets Abandoned During War to be Flown to the U.S. for Adoption! Some 300 homeless dogs and cats, many left behind by owners who fled Lebanon during the Hizbullah-Israel war, will be heading to new sanctuaries in the United States for adoption, an animal rights activist said Friday. About 150 dogs and a similar number of cats will be flown out on a special flight Monday, said Mona Khoury, co-founder of the humane society Beirut for the Ethical Treatment of Animals, or BETA. "They will be in transit sanctuary," she said in a telephone interview, referring to the many requests for adoptions. BETA is involved in the project with the American animal society Best Friends. A statement from Best Friends issued in Kanab, Utah, said the homeless pets from Beirut will be airlifted to Best Friends Animal Sanctuary, America's largest refuge for abused and abandoned pets. Michael Mountain, president of Best Friends, said that the pets will undergo a complete health and behavior evaluations, "and then they'll be off to their new homes." "We've already had lots of adoption offers," Mountain said, adding that "by bringing these homeless pets to this country, we're enabling the good people at BETA to rebuild their shelters and restart their rescue work." BETA has collected many pets that were left behind by people who had to leave the country. 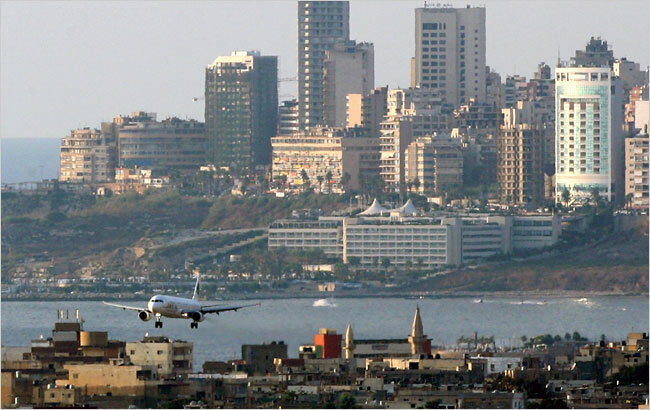 Tens of thousands of foreigners or Lebanese with foreign passports left the country in July and August during the heavy fighting, many on the recommendations of their governments which organized evacuations by land or sea. Pets were not accepted in the evacuations and many had to be left behind. These are other exclusive pictures from Beirut Live depicting the UNIFIL controlled EU-navy patrolling Lebanon's territorial sea as required under UN Resolution 1701. 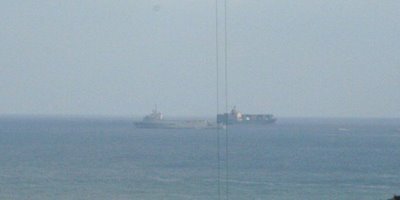 The pictures taken on 22 Sept. '06 at around 9 in the morning clearly show the navy stopping a cargo ship to check its contents before allowing it to dock at Beirut Port. The massive cargo ship might be more suspect than it looks as by 9h10 some three different military ships suddenly surrounded it. 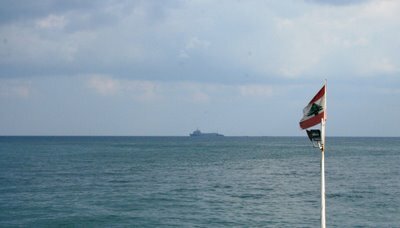 It is not clear which navy the military ship belongs to nor where the cargo ship originated from. (The third picture has lines in the middle of it due to a construction crane which was in the way). This is for the skeptics who always claim that Lebanon is the aggressor and who think that the blockade was necessary. According to the IDF, Hizbullah is not importing new stocks of weapons and is abiding by the cease-fire, an act which the IDF cannot claim it has done. Chief of Staff Lt.-Gen. Dan Halutz declared that Hizbullah was strictly adhering to the cease fire in the North. "Since the end of the war Hizbullah guerillas have openly appeared without weapons or uniform," said Halutz. The chief of staff added that as far as the IDF was aware there were no meaningful attempts by the movement to smuggle arms into Lebanon from Syria since the end of the war. Halutz then declared that "if everything goes according to plan, there will be no IDF troops left in Lebanon by Rosh Hashana." Meanwhile, earlier Tuesday, the report investigating the management of the Northern Command with regards to the capture of the two IDF soldiers on the northern border was published. The report, submitted to Halutz on Monday, highlighted serious failures and operational errors in the command. Furthermore, the report claimed that the IDF's intelligence on the intention of Hizbullah to kidnap soldiers was not up to date. The report also criticized the management of the pursuit immediately after the kidnapping. This is a very worrisome article as I am sure that Hizbullah is also energetically preparing for the next war. The fact that Israel is expecting Hizbullah to respond to attacks against Iran or Syria and that neo-cons are pushing Bush to bomb Iran makes the situation in this part of the world very volatile. We just came out of a devestating war, and yet they are already talking about the next one even before the multi-national force is set in place. Is this cease-fire a mirage and the quietness the silence before the storm? Amid growing discontent with UNIFIL and its commander, Gen. Alain Pellegrini, the defense establishment has been working on creating new operational plans for war with Hizbullah that take into consideration the existence of new players in southern Lebanon - the Lebanese army and the UN multinational force. "Next time it will be much more complicated," a high-ranking officer in the Northern Command said Sunday. The IDF would not be able to simply invade southern Lebanese villages like it did during the past war and would have to take into consideration that conflicts and clashes could evolve with the Lebanese army and troops from the multinational force, the officer said. A source of IDF concern was the decision by the UN that Pellegrini would remain in his post and become the commander not only of the 2,000-strong UNIFIL force but of the new multinational force in Lebanon. Officers expressed skepticism regarding Pellegrini's ability to aggressively enforce the cease-fire and prevent Hizbullah from rearming itself and launching attacks against Israel. "In the past, UNIFIL proved that it did not deal well with Hizbullah," one officer said. "If Pellegrini takes the same approach again it could endanger the cease-fire and create a conflict sooner than expected." Military Intelligence recently completed drafting its assessments for 2007 and predicted that Hizbullah, which it believed was currently interested in quiet so it could rebuild itself, would be ready within a year to again wage war against Israel. War with Hizbullah could break out earlier, officers said, if Iran or Syria were attacked by Israel or the United States. "If that happens, Hizbullah will definitely need to respond," one officer said. Hizbullah, MI further assumed, was also working on changing its military tactics and plans to abide by the UN resolution that forbids its fighters from carrying weapons openly along the border with Israel. "They will operate in the villages and their bunkers discreetly," the officer said. Meanwhile on Sunday, the Northern Command received new orders from the General Staff Operations Directorate regarding the final withdrawal date of the remaining IDF troops still operating in Lebanon. The soldiers, a Northern Command officer said, were currently deployed within two kilometers of the border with Israel and were mostly conducting patrols as well as laying ambushes to prevent the infiltration of terrorists into Israel. The Northern Command said it was prepared to withdraw troops from Lebanon within two days of receiving such orders from the General Staff. Last week, officers said, it appeared that the troops would be brought back to Israel by Rosh Hashana, which falls this weekend. But officers said Sunday, new orders were received over the weekend indicating that the diplomatic echelon was interested in delaying the withdrawal. UNIFIL has already taken up 80 percent of the territory the IDF was in control of on August 14, the day the UN-brokered cease-fire went into effect, senior officers said. As of last week, some 5,000 multinational troops had arrived in Lebanon. UN Resolution 1701 discusses the deployment of up to 15,000 multinational troops alongside the Lebanese army, which has already fully deployed in southern Lebanon. "We are waiting to see how the multinational force deploys itself in southern Lebanon," the Northern Command officer said. "It is possible that the IDF will need to remain in Lebanon until after Rosh Hashana and beyond." Lieutenant Colonel Jerome Salle said the troops will move first to Deir Kifa, east of the southern port of Tyre, before eventually relieving a Ghanaian contingent in Bint Jbeil. They will join hundreds of Italians, Spanish, Indians and Ghanaians and other French already deployed in the area.The battalion, which will be supported by around a dozen Leclerc tanks, will have two roles -- to control the area around Bint Jbeil and to act as a rapid-reaction force. According to the United Nations Interim Force in Lebanon (UNIFIL), around two-thirds of the French troops will be based in Baraashit, in the hills above Bint Jbeil, which saw some of the heaviest fighting in the 34-day war that ended in a UN-brokered truce on August 14. At the headquarters of the 28-year-old UNIFIL, in the southwest coastal village of Naqoura, troops already settling in erected an 8-meter (25 foot) model of the Eiffel Tower -- a memory of home. Many French troops said they feel welcomed, with all sides encouraging their presence. But they are well aware of the potential danger they face in working to keep the peace. "We're ready for any eventuality, but of course it could inflame again at any time," said Lt. Eric Lemee, a Foreign Legion officer from Brittany in western France. "If we have to raise our level of alert, we'll do it." The French will be deploying with haunting memories of the October 23, 1983 suicide bomb attacks on barracks in Beirut that killed 58 French peacekeepers and 241 American servicemen and led to the withdrawal of the international peacekeeping force in Lebanon. France initially hesitated to commit its troops in large numbers to Lebanon and said it would only send an additional 200 soldiers to reinforce its 200-strong contingent in the existing UNIFIL force. But a week later under heavy international pressure, and after Italy put France to shame by announcing it would send 3,000 troops, Chirac did an about-face and said that 2,000 French troops would serve in Lebanon. Now, France is at the forefront of the foreign efforts to preserve a cease-fire that went into effect after 34 days of fighting between Hizbullah and Israel. 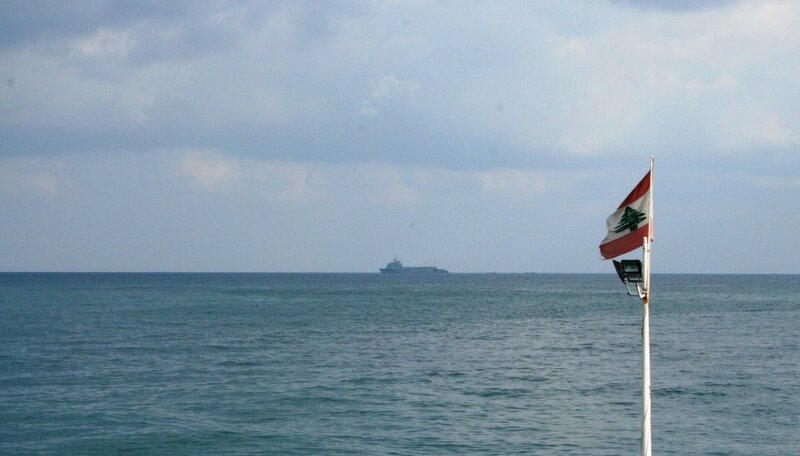 Besides its ground forces, it has 1,700 naval personnel that are helping to patrol the waters off Lebanon's shores. Chirac has pressed for tough rules of engagement for the enhanced U.N. force, and has scored political points at home, winning the backing of an array of political parties for the expansion of the French role. In an effort to deter any aggression, French forces have at their disposal Leclerc tanks, sophisticated Cobra radar systems and 155 mm artillery cannons. Nonetheless Chirac last week told Spanish Prime Minister Jose Luis Rodriguez Zapatero he was "a bit worried" that situation in Lebanon could deteriorate in the coming months. Israeli aircraft have repeatedly made over flights, while Hizbullah is believed to have hidden weapons. In Bint Jbeil, a Hizbullah stronghold where the French are to center their operations, the group's yellow banners proclaim "Our blood has won" in French and English. There are concerns about the risks of a terrorist attack on French forces. A top French anti-terrorism official, Christophe Chaboud, has said that his country's decision to participate in the U.N. force on such a scale "could be exploited from outside and used as a pretext" for reprisals. In Lebanon, "anything can happen" in the aftermath of the conflict and "in particular concerning the especially difficult issue of Hizbullah's demilitarization," he said in an interview with French daily Liberation this week. An additional 170 French troops arrived on Saturday, and a second French battalion is to arrive in Lebanon in the coming weeks. What are your thoughts on this following issue? Do the Arab MKs have the right to visit other Arab nations and if so (or not) why? Should Israel stop them from opening ties with Arab nations or use them to reach agreements with them? Is it right that there is a law with a 4-year sentence against such visits? Your thoughts on this are valuable. Three Arab Knesset members met with Lebanese Prime Minister Fuad Saniora in Beirut on Friday, where they expressed their sympathy for the plight of the Lebanese during the war - as well as their support for Hizbullah. Hizbullah's resistance to Israel has "lifted the spirit of the Arab people," Balad MKs Azmi Bishara, Jamal Zahalka and Wasal Taha told the prime minister. The MKs' arrival in Lebanon on Thursday following a week-long trip to Syria has become one of the most controversial "solidarity missions" in the history of the Israeli legislature. The three Balad MKs coordinated their visit with the speaker of the Lebanese Parliament, Nabih Berri, who is close to Hizbullah. "Their visit is blatant treason... it is an act of espionage," said Israel Beiteinu chairman Avigdor Lieberman, who has already called for the three to be dismissed from the Knesset. During their week in Syria, the lawmakers met with political and religious leaders, making headlines when they told Baath party officials that Israel was likely to attack Syria to recover its military deterrence. Bishara expressed support for Syria's struggle to free "occupied Arab land" and praised Syrian support for "resistance to the occupation." Attorney-General Menahem Mazuz has opened an investigation against the three for the visit to Syria. Police said Thursday that the investigation would be carried out by the International Serious Crimes Unit. Knesset members are prohibited from traveling to enemy countries under a 2001 law that carries sanctions of up to four years in jail. That law was passed after Bishara visited to Syria but escaped legal action after it was determined that there was no law prohibiting his trip. "We passed a law specifically against this type of thing five years ago, and that law was hand-written for Bishara," said one NU-NRP MK. "Now he has the gall to travel to Syria again? They [the Balad MKs] don't deserve to be in the Knesset." The Balad legislators have responded to the outcry against them by saying in a statement that they were prepared to "face the consequences" of their visit. "This trip is to express solidarity with the victims of the war," a Balad spokesman said. "It is our right, and the right of Arabs in Israel, to remain in contact with Arab nations." In Syria, Zahalka met with Syrian President Bashar Assad, who told the MK that Syria was committed to the 2002 Arab League peace initiative and that he would establish official ties with Israel only after Israel accepted the initiative. Hizbullah committed serious violations of international humanitarian law, amounting to war crimes, in its deliberate targeting of Israeli civilians during the recent conflict, according to a briefing published today by Amnesty International. The flight of civilians from northern Israel and the existence of shelters preventing a higher death toll than the 43 civilian fatalities recorded. "In the conflict between Hizbullah and Israel, the suffering of civilians on both sides has been repeatedly ignored with those responsible escaping all accountability. Justice is urgently needed if respect for the rules of war is ever to be taken seriously -- and that means accountability for the perpetrators of war crimes and reparations for the victims," said Irene Khan.Amnesty International is calling for a comprehensive, independent and impartial inquiry to be urgently established by the UN into violations of international humanitarian law by both sides in the conflict. It should examine in particular the impact of this conflict on the civilian population, and should be undertaken with a view to holding individuals responsible for crimes under international law and ensuring that full reparation is provided to the victims. Further aspects of the war, including charges that Hizbullah used Lebanese civilians as a cover and attacks by Israeli forces that resulted in heavy civilian casualties, will be addressed in future publications. This is another damning article regarding the controversial use of cluster bombs and phosphorous munitions by the IDF. Apparently over 1 million cluster bombs were fired towards Lebanon, with the majority being launched at the end of the war. It is such actions which make the IDF a reckless force despised by all Lebanese. Even the IDF head of the rocket unit believes such actions are "insane and monstrous". In the meantime, the IDF is already working on collecting money and hiring lawyers since they are expecting a wave of war crime trials for actions commited in the war on Lebanon. "What we did was insane and monstrous, we covered entire towns in cluster bombs," the head of an IDF rocket unit in Lebanon said regarding the use of cluster bombs and phosphorous shells during the war. Quoting his battalion commander, the rocket unit head stated that the IDF fired around 1,800 cluster bombs, containing over 1.2 million cluster bomblets.In addition, soldiers in IDF artillery units testified that the army used phosphorous shells during the war, widely forbidden by international law. According to their claims, the vast majority of said explosive ordinance was fired in the final 10 days of the war. The rocket unit commander stated that Multiple Launch Rocket System (MLRS) platforms were heavily used in spite of the fact that they were known to be highly inaccurate. MLRS is a track or tire carried mobile rocket launching platform, capable of firing a very high volume of mostly unguided munitions. The basic rocket fired by the platform is unguided and imprecise, with a range of about 32 kilometers. The rockets are designed to burst into sub-munitions at a planned altitude in order to blanket enemy army and personnel on the ground with smaller explosive rounds. The use of such weaponry is controversial mainly due to its inaccuracy and ability to wreak great havoc against indeterminate targets over large areas of territory, with a margin of error of as much as 1,200 meters from the intended target to the area hit. The cluster rounds which don't detonate on impact, believed by the United Nations to be around 40% of those fired by the IDF in Lebanon, remain on the ground as unexploded munitions, effectively littering the landscape with thousands of land mines which will continue to claim victims long after the war has ended. Because of their high level of failure to detonate, it is believed that there are around 500,000 unexploded munitions on the ground in Lebanon. To date 12 Lebanese civilians have been killed by these mines since the end of the war. According to the commander, in order to compensate for the inaccuracy of the rockets and the inability to strike individual targets precisely, units would "flood" the battlefield with munitions, accounting for the littered and explosive landscape of post-war Lebanon. When his reserve duty came to a close, the commander in question sent a letter to Defense Minister Amir Peretz outlining the use of cluster munitions, a letter which has remained unanswered. 'Excessive injury and unnecessary suffering'It has come to light that IDF soldiers fired phosphorous rounds in order to cause fires in Lebanon. An artillery commander has admitted to seeing trucks loaded with phosphorous rounds on their way to artillery crews in the north of Israel. A direct hit from a phosphorous shell typically causes severe burns and a slow, painful death. International law forbids the use of weapons that cause "excessive injury and unnecessary suffering", and many experts are of the opinion that phosphorous rounds fall directly in that category. The International Red Cross has determined that international law forbids the use of phosphorous and other types of flammable rounds against personnel, both civilian and military. In response, the IDF Spokesman's Office stated that "International law does not include a sweeping prohibition of the use of cluster bombs. The convention on conventional weaponry does not declare a prohibition on [phosphorous weapons], rather, on principles regulating the use of such weapons. "For understandable operational reasons, the IDF does not respond to [accounts of] details of weaponry in its possession. "The IDF makes use only of methods and weaponry which are permissible under international law. Artillery fire in general, including MLRS fire, were used in response solely to firing on the state of Israel. "The Defense Minister's office said it had not received messages regarding cluster bomb fire. This is a month old article which is still much worth the read as it gives interesting insight into what makes Hizbollah such a strong force. Maybe there can be one or two things that can be learned from this. BEIRUT, Aug. 14 -- Hezbollah's irregular fighters stood off the modern Israeli army for a month in the hills of southern Lebanon thanks to extraordinary zeal and secrecy, rigorous training, tight controls over the population, and a steady flow of Iranian money to acquire effective weaponry, according to informed assessments in Lebanon and Israel. "They are the best guerrilla force in the world," said a Lebanese specialist who has sifted through intelligence on Hezbollah for more than two decades and strongly opposes the Because Hezbollah was entrenched in friendly Shiite-inhabited villages and underground bunkers constructed in secret over several years, a withering Israeli air campaign and a tank-led ground assault were unable to establish full control over a border strip and sweep it clear of Hezbollah guerrillas -- one of Israel's main declared war aims. Largely as a result, the U.N. Security Council resolution approved unanimously Friday night fell short of the original objectives laid out by Israel and the Bush administration when the conflict began July 12. As the declared U.N. cease-fire went into effect Monday morning, many Lebanese -- particularly among the Shiites who make up an estimated 40 percent of the population -- had already assessed Hezbollah's endurance as a military success despite the devastation wrought across Lebanon by Israeli bombing. Hezbollah's staying power on the battlefield came from a classic fish-in-the-sea advantage enjoyed by guerrillas on their home ground, hiding in their own villages and aided by their relatives. Hasan Nasrallah, the Hezbollah leader, summed up the guerrilla strategy in a televised address during the conflict when he said, "We are not a regular army and we will not fight like a regular army." The group's battlefield resilience also came from an unusual combination of zeal and disciplined military science, said the Lebanese specialist with access to intelligence information, who spoke on condition he not be identified by name. The fighters' Islamic faith and intense indoctrination reduced their fear of death, he noted, giving them an advantage in close-quarters combat and in braving airstrikes to move munitions from post to post. Hezbollah leaders also enhanced fighters' willingness to risk death by establishing the Martyr's Institute, with an office in Tehran, that guarantees living stipends and education fees for the families of fighters who die on the front. 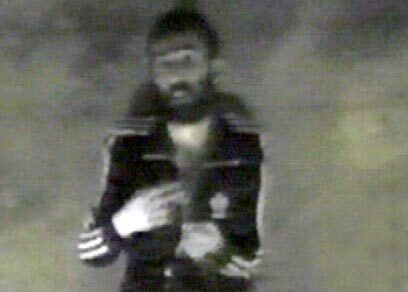 "If you are waiting for a white flag coming out of the Hezbollah bunker, I can assure you it won't come," Brig. Gen. Ido Nehushtan, a member of the Israeli army's general staff, said in a briefing for reporters in the northern Israeli village of Gosherim. "They are extremists, they will go all the way." Moreover, Hezbollah's military leadership carefully studied military history, including the Vietnam War, the Lebanese expert said, and set up a training program with help from Iranian intelligence and military officers with years of experience in the Iran-Iraq war of the 1980s. The training was matched to weapons that proved effective against Israeli tanks, he added, including the Merkava main battle tank with advanced armor plating. Wire-guided and laser-guided antitank missiles were the most effective and deadly Hezbollah weapons, according to Israeli military officers and soldiers. A review of Israel Defense Forces records showed that the majority of Israeli combat deaths resulted from missile hits on armored vehicles -- or on buildings where Israeli soldiers set up observation posts or conducted searches. Most of the antitank missiles, Israeli officers noted, could be dragged out of caches and quickly fired with two- or three-man launching teams at distances of 3,200 yards or more from their targets. One of the most effective was the Russian-designed Sagger 2, a wire-guided missile with a range of 550 to 3,200 yards. In one hidden bunker, Israeli soldiers discovered night-vision camera equipment connected to computers that fed coordinates of targets to the Sagger 2 missile, according to Israeli military officials who described the details from photographs they said soldiers took inside the bunker. Some antitank missiles also can be used to attack helicopters, which has limited the military's use of choppers in rescues and other operations. On Saturday, Hezbollah shot down a CH-53 Sikorsky helicopter in Lebanon, killing all five crew members, according to the Israeli military. As of late Sunday, Israeli troops still had been unable to retrieve the bodies because of fierce fighting in the area of the crash. The Hezbollah arsenal, which also included thousands of missiles and rockets to be fired against northern Israel's towns and villages, was paid for with a war chest kept full by relentless fundraising among Shiites around the world and, in particular, by funds provided by Iran, said the intelligence specialist. The amount of Iranian funds reaching Hezbollah was estimated at $25 million a month, but some reports suggested it increased sharply, perhaps doubled, after Mahmoud Ahmadinejad took over as president in Tehran last year, the specialist said. Fawaz Trabulsi, a Lebanese professor who helped lead Palestinian-allied militia forces against the Israeli army in 1982, noted that Hezbollah's fight has differed in several respects from that mounted by the Palestine Liberation Organization during the 1980s. In that war, Israeli forces punched straight northward and reached Beirut in a few days with only minor resistance, he recalled, saying Israeli officers seemed to think they could duplicate that performance against Hezbollah. One reason for the sharp difference is that Israeli intelligence had much less detail on Hezbollah forces, tactics and equipment than it had on the PLO, which was infiltrated by a network of spies, said Trabulsi, now a political science professor at Lebanese American University. "Hezbollah is not penetrated at all," he said. Nehushtan, the Israeli general, said the Israeli military had enough information to appreciate the fighting ability and weaponry of Hezbollah as the conflict opened. In addition, Israeli warplanes have hit pinpoint targets throughout the fighting, presumably on the basis of real-time intelligence reaching the Defense Ministry in Tel Aviv through drones and other surveillance equipment. Other observers, however, said the sweep of fighting over the last month -- when Israel on several occasions said it controlled the terrain, only to continue fighting in the same border villages -- suggested intelligence had not provided an adequate appreciation of the battlefield. "I think it's no secret that the Israeli military didn't have the intelligence on this," said Richard Straus, who publishes the Middle East Policy Survey newsletter in Washington. "They didn't know what Hezbollah had, how it had built up, what it was capable of." Another difference that gave Hezbollah fighters an edge is the experience they acquired in combating Israeli troops during the nearly two decades of Israeli occupation in southern Lebanon that ended in 2000. In contrast, Palestinian guerrillas had gained most of their experience fighting Lebanese militias in the civil war here -- using nothing more than assault rifles and rocket-propelled grenades -- and were unprepared and unequipped to resist the advance of Israel's modern army. "The difference is in training, the difference is in weapons, but the big difference is that most of the Palestinians had never engaged in fighting Israel," Trabulsi said. "They were used to fighting a civil war in Lebanon." Hezbollah's resistance to penetration by Israeli intelligence was part of a culture of secrecy extreme even by the standards of underground guerrilla forces. The code fit with a tendency toward secrecy in the Shiite stream of Islam, called faqih . It also fit with a sense of solidarity against others that Lebanese Shiites have been imbued with since the beginning of their emergence as a political force in the mid-1970s, when their first organization was called the Movement of the Deprived. One young Lebanese doctor learned that her brother had been a Hezbollah fighter for several years only when the movement notified her he had been killed, colleagues said. Similarly, a Lebanese man found out his brother was a senior Hezbollah militia officer only when informed of his death; the brother had cloaked occasional trips to Tehran by saying he was trying to start an import-export business. Reporters who over the last month went to the bombed-out sections of southern Beirut suburbs where Hezbollah had its headquarters were approached within minutes by young men asking who they were and what they were doing there. Interviews with the people living there, most of whom were ardent Hezbollah supporters, were not allowed, the young men said. Around the battlefields of south Lebanon, however, the militia was busy fighting Israeli troops and hiding from airstrikes. Reporters were free to move as much as they dared, since they, too, feared being hit by Israeli jets. Even the movement's political leadership was kept in the dark about many military and intelligence activities, Trabulsi noted. Ghaleb Abu-Zeinab, a member of Hezbollah's political bureau, said in an interview, for instance, that he was not informed about operations on "the field," Hezbollah shorthand for the villages and hillsides across southern Lebanon where the battle raged. "They have a military and intelligence organization totally separated from the political organization," Trabulsi said. A dramatic example of the secrecy and careful preparations for conflict with Israel was Hezbollah's al-Manar television. The station has kept broadcasting its mix of news and propaganda from hidden studios throughout the fighting, despite repeated Israeli airstrikes against relay towers and antennas across the country. Lebanese said some of the broadcasts seemed to include coded messages to Hezbollah fighters in southern Lebanon. But as with most things about Hezbollah, they were not really sure. Nasrallah, the Hezbollah leader, used al-Manar to make a number of speeches rallying his followers and explaining his strategy. With his cleric's turban and student's mien, appearing on the screen in pre-taped broadcasts, he was perhaps the biggest secret of all, hunted by Israeli warplanes and hiding in a location about which Lebanese could only guess. As the world waits to see if the UN-brokered ceasefire in Lebanon holds, the Israeli army will begin assessing its disappointing performance against Hezbollah guerrillas. Among the many aspects to be investigated is the vulnerability of Israel's powerful armored corps to small, hand-held, wire-guided anti-tank weapons. Indeed, Hezbollah's innovative use of anti-tank missiles was the cause of most Israeli casualties and has given the small but powerful weapons a new importance in battlefield tactics. In a recent statement, Hezbollah's armed wing, al-Moqawama al-Islamia (Islamic Resistance), described Israel's main battle-tank as "a toy for the rockets of the resistance" (al-Manar TV, August 11). Hezbollah's anti-tank weapons consist of a variety of wire-guided missiles (usually of Russian design and manufactured and/or supplied by Iran and Syria) and rocket-propelled grenade launchers (RPGs). The missiles include the European-made Milan, the Russian-designed Metis-M, Sagger AT-3, Spigot AT-4 and the Russian-made Kornet AT-14. The latter is a Syrian supplied missile capable of targeting low-flying helicopters. Iraqi Fedayeen irregulars used the Kornet against U.S. forces in 2003. The most portable versions of these weapons are carried in a fiberglass case with a launching rail attached to the lid. On July 30, the Israeli army published photos of various anti-tank missiles they claim to have found in a Hezbollah bunker (see: http://www.hnn.co.il/index.php?modul...sk=view;id=967). The weapons include Saggers and TOW missiles. The TOW (Tube-launched, Optically-tracked, Wire-guided) missile is a formidable weapon first produced by the United States in the 1970s. These missiles were of interest as their packing crates were marked 2001, suggesting that these were relatively new additions to Hezbollah's arsenal and not part of the shipment of TOW missiles from Israel to Iran that was part of the Iran-Contra scandal of 1986 (the shelf-life of the TOW is roughly 20 years). On August 6, Israeli Major-General Benny Gantz showed film of BGM-71 TOW and Sagger AT-3 missiles he reported were captured at one of Hezbollah's field headquarters (Haaretz, August 6). The primary target of Hezbollah's battlefield missiles is the Israeli-made Merkava tank. The Merkava was designed for the maximum protection of its crews, with heavy armor and a rear escape hatch. The emphasis on crew survival is not simply a humanitarian gesture; the small country of Israel cannot provide an endless number of trained, combat-ready tank crews if casualties begin to mount. The tank is also designed to be easily and quickly repaired, a specialty of the Israeli Defense Forces (IDF). The modular armor plating can be easily replaced if damaged, or replaced entirely with upgraded materials when available. The first generation of Merkavas was built in the 1970s and was soon deployed in Lebanon in 1982. The much-improved Merkava Mk 4 has been Israel's main battle-tank since its introduction in 2004. Current battlefield reports suggest that Hezbollah fighters are well-trained in aiming at the Merkava's most vulnerable points, resulting in as many as one-quarter of their missiles successfully piercing the armor (Yediot Aharonot, August 10). Hezbollah attacks on Merkava tanks during the November 2005 raid on the border town of Ghajar were videotaped and closely examined to find points where the armor was susceptible to missile attack. While some of their missiles have impressive ranges (up to three kilometers), the guerrillas prefer to fire from close range to maximize their chances of hitting weak points on the Merkava. Operating in two- or three-man teams, the insurgents typically try to gain the high ground in the hilly terrain before selecting targets, using well-concealed missile stockpiles that allow them to operate behind Israeli lines (Jerusalem Post, August 3). Without artillery, Hezbollah has adapted its use of anti-tank missiles for mobile fire support against Israeli troops taking cover in buildings. There are numerous reports of such use, the most devastating being on August 9, when an anti-tank missile collapsed an entire building, claiming the lives of nine Israeli reservists (Y-net, August 10). Four soldiers from Israel's Egoz (an elite reconnaissance unit) were killed in a Bint Jbail house when it was struck by a Sagger missile (Haaretz, August 6). TOW missiles were used effectively in 2000 against IDF outposts in south Lebanon before the Israeli withdrawal. There are also recent instances of anti-tank weapons being used against Israeli infantry in the field, a costly means of warfare but one that meets two important Hezbollah criteria: the creation of Israeli casualties and the preservation of highly-outnumbered Hezbollah guerrillas who can fire the weapons from a relatively safe distance. It was suggested that the IDF helicopter brought down by Hezbollah fire on August 12 was hit by an anti-tank missile. Hezbollah claimed to have used a new missile called the Wa'ad (Promise), although the organization occasionally renames existing missiles (Jerusalem Post, August 12). At least one of Israel's ubiquitous armored bulldozers has also fallen prey to Hezbollah's missiles. The Syrian-made RPG-29 was previously used with some success against Israeli tanks in Gaza. Hezbollah also uses this weapon, with a dual-warhead that allows it to penetrate armor. On August 6, the Israeli press reported that IDF intelligence sources claimed that an improved Russian-made version of the RPG-29 was being sold to Syria before transfer to the Islamic Resistance (Haaretz, August 6). In response, Russia's Foreign Ministry denied any involvement in supplying anti-tank weapons to Hezbollah (RIA Novosti, August 10). The IDF reports that anti-tank missiles and rockets continue to cross the border into Lebanon from Syria, despite the destruction of roads and bridges in the area (Haaretz, August 13).The Merkava tank has assumed an important role as a symbol of Israeli military might. Their destruction in combat has an important symbolic value for Hezbollah. Hezbollah's tactical innovations and reliance on anti-tank missiles over more traditional infantry weapons will undoubtedly prompt serious introspection on the part of the IDF in anticipation of renewed conflict along the border. This is a detailed story written by Debka Files on the military build-up in Lebanon and its territorial waters. According to this source, the build-up is more in relation with the upcoming confrontation with Iran and the USA rather than the creation of a buffer zone between Israel and Lebanon. If the details in this article are exact and that Europe is mobilizing its most impressive force since WWII, then I would tend to believe the story of a Europe attempting to contain a possible war with Iran. The extraordinary buildup of European naval and military strength in and around Lebanon’s shores is way out of proportion for the task the European contingents of expanded UNIFIL have undertaken: to create a buffer between Israel and Hizballah. Close investigation by DEBKAfile’s military and intelligence sources discloses that “Lebanese security” and peacemaking is not the object of the exercise. It is linked to the general anticipation of a military clash between the United States and Israel, on one side, and Iran and possibly Syria on the other, some time from now until November This expectation has brought together the greatest sea and air armada Europe has ever assembled at any point on earth since World War II: two carriers with 75 fighter-bombers, spy planes and helicopters on their decks; 15 warships of various types – 7 French, 5 Italian, 2-3 Green, 3-5 German, and five American; thousands of Marines – French, Italian and German, as well as 1,800 US Marines. It is improbably billed as support for a mere 7,000 European soldiers who are deployed in Lebanon to prevent the dwindling Israeli force of 4-5,000 soldiers and some 15-16,000 Hizballah militiamen from coming to blows as well as for humanitarian odd jobs. A Western military expert remarked to DEBKAfile that the European naval forces cruising off Lebanese shores are roughly ten times as much as the UNIFIL contingents require as cover, especially when UNIFIL’s duties are strictly non-combat. After all, none of the UN contingents will be engaged in disarming Hizballah or blocking the flow of weapons incoming from Syria and Iran. So, if not for Lebanon, what is this fine array of naval power really there for? 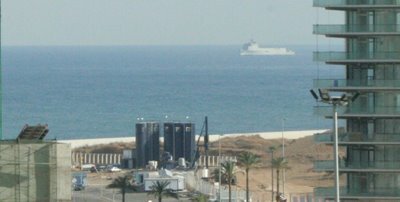 First, according to our military sources, the European participants feel the need of a strong naval presence in the eastern Mediterranean to prevent a possible Iranian-US-Israeli war igniting an Iranian long-range Shahab missile attack on Europe; second, as a deterrent to dissuade Syria and Hizballah from opening a second front against American and Israel from their eastern Mediterranean coasts. Numbers alone do not do justice to the immense operational capabilities and firepower amassed opposite Lebanon. Take first the three fleet flagships. From France’s nuclear-powered 38,000-ton Charles De Gaulle carrier, 40 Rafale M fighter craft whose range is 3,340 km can take off at intervals of 30 seconds. The ship also carries three E-2C Hawkeye surveillance craft. The combat control center of the French carrier can handle 2,000 simultaneous targets. The carrier leads a task fore of 7 warships carrying 2,800 French Marines. Charles De Gaulle s also a floating logistics center operating water desalination plants for 15,000 men and enough food to feed an army for 90 days. The USS Mount Whitney has the most sophisticated command and control suite in the world. Like the French Charles De Gaulle , it exercises command over a task force of 1,800 sailors, Marines, Air force medical and other personnel serving aboard the USS Barry, the USS Trenton , HSV Swift and USNS Kanawha. Available to the fleet commander, US Vice Admiral J. “Boomer” Stufflebeem, formally titled commander of Joint Task Force Lebanon, is the uniquely advanced C41 command and intelligence system through which he can flash intelligence data to every American commander at any point between the eastern Mediterranean and the Persian Gulf and Iran. USS Mount Whitney communications are described as unsurpassed for the the secure transmission of data from any point to any other point in the world through HF, UHF,VHF, SHF and EHF. The third carrier joining the other two is the Italian aircraft-helicopter carrier Garibaldi , which has launch pads for vertical takeoff by 16 AV-8B Harrier fighter-bombers or 18 Sikorsky SH-3D Seak King sea-choppers (or Italian Agusta Bell AB212 helicopters), designed to attack submarines and missile ships. Military experts estimate that the Garibaldi currently carries 10 fighter planes and 6 helicopters. The new European naval concentration tops up the forces which permanently crowd the eastern Mediterranean: the Italian-based American Sixth Fleet, some 15 small Israeli missile ships and half a dozen submarines and the NATO fleet of Canadian, British, Dutch, German, Spanish, Greek and Turkish warships. They are on patrol against al Qaeda (which is estimated to deploy 45 small freighters in the Mediterranean and Indian Ocean). The British have permanent air and sea bases in Cyprus. This vast force’s main weakness, according to DEBKAfile’s military sources, is that it lacks a single unified command. A sudden flare-up in Lebanon, Syria or Iran could throw the entire force into confusion. 1. French General Alain Pellegrini is the commander of the expanded UNIFIL ground, naval and air force in Lebanon. In February 2007, he hands over to an Italian general who leads the largest of the European contingents of 3,000 men. It is hard to see France agreeing to place its prestigious Charles De Gaulle flagship under non-French command. 2. The American forces opposite Lebanese shores are under direct US command. Since the October 1993 debacle of an American peace force under the UN flag in Somalia, Washington has never again placed its military under UN command. (There is no American contingent in the UNIFIL ground force either.) In other words, USS Mount Whitney , while serving the European fleets as their operational and intelligence nerve center will stay under the sole command of Vice Admiral Stufflebeem in all possible contingencies. 3. Similarly, the NATO fleet will remain under NATO command, and Israel’s air and naval units will take their orders from Israeli Navy Headquarters in Haifa and the General Staff in Tel Aviv. The naval Babel piling up in the eastern Mediterranean may therefore find itself at cross purposes when action is needed in an armed conflict. Iran, Syria and Hizballah could be counting on this weakness as a tactical asset in their favor. If I were, heaven forbid, the father of a soldier who had been abducted to Lebanon or Gaza, I would bitterly raise my voice as loud as possible and tell the government: Free prisoners, now. The parents of the abducted soldiers have so far refrained from making such a public demand. Instead, they have focused their protests against lifting the siege of Lebanon. Only this weekend did they finally issue a call for negotiations with Hezbollah. In their pain, they cannot be judged, but they can be told the following: Neither war nor sieges will free your children. The only way to free them is to free many Lebanese and Palestinian prisoners. Does Noam Shalit, father of Gilad, think the bombing of bridges and the power station in Gaza advanced the release of his son in any way, or does he know it caused only more suffering and hatred? Does Shlomo Goldwasser, father of Udi, believe the destruction and siege of Lebanon will bring about the release of his son? The tens of thousands of demonstrators who gathered in Rabin Square a few days ago should also be asked: What exactly do you want? To sound off emotionally but uselessly, or to bring about the release of the boys? They, too, should have made the resolute demand for the release of prisoners. Israel must decide which way it is going. Either it announces it will not conduct negotiations for the release of prisoners, as the prime minister did with much bravado when the war broke out, and then every soldier and Hebrew mother will know that if, heaven forbid, a soldier falls into captivity, the state will abandon him to their sighs; or they'll know the state will do everything to get an abducted soldier back. "Everything" means paying a price. There is no other way. The Ron Arad affair should have taught us another important lesson: Move quickly. Those who don't want another faded film in another 20 years should act immediately. What can be achieved now might not be possible in another few months. The Lebanese movie about the abductees broadcast last week held a mirror up to Israeli society. Suddenly it was possible to see that there are anxious and loving parents on both sides of the border. Not only in Israel do the families weep, but also in Lebanon and the occupied territories, and with the same terrible pain. There are abductees from both sides. We and they both use the same methods to try to free the boys. Hezbollah and Hamas abducted Israeli soldiers, Israel abducted Lebanese civilians. Hassan Nasrallah said in the movie that kidnapping the soldiers at Har Dov was the only way left to him to bring about the return of the abducted Lebanese. What other route did he have? Israel abducted, Hezbollah abducted, both hid information about the fate of the abductees. The vicious cycle must be broken. Israel also cannot announce it won't negotiate and at the same time abduct 15 Lebanese civilians or half a Palestinian government and a quarter of its parliament. If it won't negotiate, why does it conduct abductions? And if Israel will negotiate, why not frankly say so and conduct negotiations quickly and with flexibility? If the Lebanese civilians were not abducted to serve as bargaining cards, which anyway did not work, maybe soldiers Omar Suwad, Adi Avitan and Benny Avraham wouldn't have been abducted. And if Samir Kuntar had been released from prison in an earlier deal, after 27 years in an Israeli prison, maybe Hezbollah would not have kidnapped Goldwasser and Eldad Regev. These questions must be answered honestly and courageously, instead of with bravado and bragging. The issue of the security prisoners is not supposed to come up only in the context of freeing the abducted soldiers. Israel has long had an interest in freeing them. More than 9,000 Palestinians are in Israeli jails nowadays; it is a nightmarish number. Anyone who knows the Shin Bet security service and the military justice system can safely assume a significant proportion of them are imprisoned for no reason. Israeli society doesn't even ask why so many are jailed. Some 750 of them have been held in prison without trial for months and years as administrative detainees, a scandal unto itself. The number of minors is also nightmarish: some 300 boys and youths, about half of whom have never been put on trial. A democratic society cannot exist if it denies freedom to so many prisoners, whose main fault was that they fought the occupation with the means used to fight occupations everywhere, including by us in the past. In the eyes of many in the world, at least some of them are rightly considered political prisoners. What are the imprisoned Palestinian parliamentarians if not political prisoners? But this is not only a matter of values. It is also a matter of interests. A prisoner release could provide a breath of fresh air. There is hardly a family in the territories that has not had one of its sons in prison, and it is difficult to describe how such a battered society would respond to such an Israeli gesture. It would not be considered weakness, but the generosity of the occupiers. Does anyone understand what kind of dizzying political change could develop from the release of Marwan Barghouti, for example? There is no step that could change the atmosphere as quickly as the release of prisoners. Therefore, it is time to demand the government free many prisoners, as part of the negotiations and even as a unilateral gesture. Our sons will return home, their sons will return home, and if we show some generosity, maybe we can turn over a new leaf and raise some hope in this land. Reading a selection of stories from British papers yesterday dealing with Middle East issues provided a clear sense for me - if it wasn't obvious already - that we are in deep, deep trouble in the world, and Lebanon has been merely a small part of the American obsession with the war on terror. It is deeply depressing. Especially for the Palestinians who must look around the world and go mad that no one responds to the absolutely despicable, abhorrent and murderous war of attrition Israel is waging on them and has been for since 1948. It is this last issue - that of Bush's secret prisons - that is also particularly worrying. How this man who has lied so blatantly can remain president is beyond words. That he has no credibility left with any thinking people is certain, if he ever did. Below is yesterday's Guardian leader on the subject which among other things points out that dedicated journalists, human rights activists and lawyers deserve praise for not giving up on investigating this story until the truth came out. It is such journalists and others who are the protectors of the American people's liberty - not President Bush nor the Republican party. Not many people will have been taken aback by George Bush's admission that the CIA has been secretly holding suspected terrorists at "black sites" across the world. Nor will many feel that it represents a fundamental change of heart about the morality, legality and political wisdom of aspects of the US "war on terror." The methods used in these facilities, were "tough but lawful", the president asserted, even as the Pentagon was announcing that methods such as hooding, electric shocks and "waterboarding" - torture by any definition - are to be outlawed in future. And these prisons, reported to be in Romania and Poland as well as Arab allies such as Morocco and Egypt, have not been closed. It would now be useful to know, as Euro MPs insisted yesterday, just who has been telling lies about this and the related issue of extraordinary renditions. Mr Bush's sudden, if partial, candour is born of the need to persuade Congress, in the few weeks left before November's mid-term elections, to back his plan for military commissions to try prisoners in Guantánamo Bay, though some of what he wants was ruled illegal by the US supreme court in June. There is also an obvious advantage for him, days before the fifth anniversary of the September 2001 attacks, in telling the American public that 14 "high-value" terrorist suspects are now likely to be facing justice in US custody in the legal twilight zone of Gitmo. These include the alleged 9/11 mastermind, Khalid Sheikh Mohammed, and the Indonesian Hambali, the Jemaah Islamiyah operative linked to the Bali bombings. But Democrats and some Republican senators, including John McCain, have made clear they will not approve a military commission system which allows convictions based on secret evidence - ostensibly needed to protect intelligence sources - or evidence obtained as the result of prisoner abuse. The likely demand for the death penalty in some trials is likely to be a contentious issue at home and abroad. Still, this is a welcome shift. While the Gitmo detainees are classified as enemy combatants rather than prisoners of war, new guidelines do afford them protection under the Geneva conventions and will mean access for the International Red Cross: that will go some way to restoring a sense of the legality that has been one of the principal victims of these last five years. Credit is due to those who have campaigned on this for so long: human rights activists, lawyers - and journalists whose tenacity helped ensure that this murky, important but unfinished story did not just fade away. The following is a damning article written in the Haaretz criticizing the way in which the IDF used cluster bombs over Lebanon and how it fired indiscriminately into south Lebanon. The writer even got very interesting feedback from reservists who refused to be named in fear of being criticized by the army. This is a must read article. S. is a reservist in an artillery battalion, and he is not at ease with what he did during the second Lebanon war. He fired shells, sometimes at a rate of one per minute. He and his fellow soldiers fired 200 shells one night and on other nights, "only" 50 or 80. S. doesn't know what damage was done by the shells he fired. He didn't see where they fell. He doesn't even know exactly where they were aimed. Artillery gunners like him only receive coordinates, numbers, not names of villages. Even those commanding the team or the battery don't know exactly what they're firing at. "Tell me, how do the villages there look? Are they all destroyed?" S. asked me after I told him that I was in contact with UN personnel who were patrolling the villages. What really made something inside S. snap was when his battalion was given an entire village as a target one night. He thinks it was Taibeh, a village in what is called the eastern sector, but he's not sure. The battalion commander assembled the men and told them that the whole village had been divided into parts and that each team was supposed to "flood" its alloted space - without specific targets, simply to bombard the village. "I told myself that the people left in that village must be the weaker ones, like in Haifa," says S. "I felt that we were acting like Hezbollah. Taking houses and turning them into targets. That's terror. My soul is important to me. When I hug my girlfriend, I want to feel good about myself. And I don't feel good about what I did in the war. I felt like I really should have tossed my weapon and run away." According to the UN, S. has good reason not to feel at peace with himself. One reservist artillery officer estimated that the Israel Defense Forces fired about 160,000 shells during the recent war. By comparison, in the Yom Kippur War, the IDF fired less than 100,000 shells. Moreover, in addition to the tens of thousands of regular shells, Israel fired several hundred cluster rockets and cluster bombs. These kinds of munition break apart in the air as they approach the ground, and spray dozens or hundreds of bomblets, each about the size of a large battery, within a radius of up to 100 meters. Most of these bomblets explode when they reach the ground, but a significant portion do not, and effectively become something like land mines. UN personnel who have been patrolling in south Lebanon in recent days say that a good part of the villages and towns there have been turned into large mine fields. As of this past Wednesday, UN mine-sweepers in southern Lebanon had identified 450 sites where cluster shells had fallen, and that's only in settled areas. In open areas, in fields, say the UN people, there are many more such sites. Each of these sites may contain hundreds or even thousands of small unexploded bombs. The UN estimates that about 100,000 of these little mines are now scattered about that part of Lebanon. Since the cease-fire, 12 Lebanese civilians, including two children, have been killed by the explosion of these "duds" and 78 people (22 of them children) have been wounded, some losing limbs in the process. Bombs all overIn Tibnin, a town in the central part of southern Lebanon, a cluster bomb landed opposite the main entrance to the hospital. A member of the UN's mine-sweeping team told Human Rights Watch that in just 10 minutes, he had counted 100 unexploded bomblets; after that he just didn't bother. David Shearer, the UN humanitarian coordinator in Lebanon, toured the Tibnin area on Wednesday. "I saw these kinds of bombs on houses, inside houses and next to houses," he says. "I saw them clear 16 or 17 away from a school soccer field. I saw them on the road and in orchards next to the road, caught in the trees." Since the cease-fire, he adds, nearly every day a death is reported, and three or four people are wounded, as a result of someone stepping on parts of a cluster bomb. International law expert Dr. Yuval Shani of the Hebrew University of Jerusalem explains that there are international conventions that prohibit the use of chemical or biological weapons, of dumdum bullets and other types of weaponry, but that cluster bombs are not expressly prohibited. However, says Shani, Section 57 of the first protocol of the Geneva Convention, to which Israel is a signatory, prohibits the use of "indiscriminate" weapons, a definition that fits the cluster bombs. "Cluster weapons cannot be used in a place where there are liable to be civilians," says Shani. The only justification for using such bombs in an area where there are civilians is in cases when they are the only type of arms by means of which the desired military result may be achieved. "It's hard to believe," he continues, "that in the hundreds of instances discovered in Lebanon, cluster bombs were the only possible weapon." The Association for Civil Rights in Israel (ACRI), which filed a request this week for Attorney General Menahem Mazuz to investigate the matter, puts it more forcefully: "The dropping of cluster bombs in built-up areas, in complete disregard for the danger they pose to the lives of innocent civilians, seems to meet the basic mental requirement for committing a crime that involves deliberate killing or deliberate harming of civilians," says the petition, sent by attorney Sonia Boulos on behalf of the association. S. did not fire cluster bombs, but he heard over the radio orders being given to use them. He also met a friend from another battalion who excitedly told him that he had fired such bombs. The friend's excitement is understandable given that these weapons are not customarily used in IDF operations and are a rarity even in training exercises. Says one reservist officer: "Cluster bombs are only used in training in one firing range in the south of Israel, and this area is treated as if it's a mine field." Y., a reservist in the same battalion, fired at least 15 cluster shells. "It was in the last days of the war," he says. "They gave us orders to fire them. They didn't tell us where we were firing - if it was at a village or at open terrain. We fired until the forces that requested the shelling asked us to stop." Another peculiarity involves the type of shells that were used. The 155-mm. artillery batteries use two types: American-made shells, known in the IDF by the acronym matzrash, and Israeli-made shells, called tze'if. Y. learned that with the Israeli cluster shells, the percentage of duds - i.e., of bombs that essentially became land mines - was lower than that of the American-made ones, and yet they fired only the latter kind. But the major portion of the damage wasn't done, apparently, by the 155-mm. guns that S. and Y. fired, rather, apparently, by the new MRLS rocket launchers that the IDF used in operations for the first time in the second Lebanon war. In the late 1990s, the IDF purchased 48 of these launchers from the United States. Each one holds 12 rockets, which act essentially like large cluster bombs. According to the official specifications, each such rocket contains no fewer than 644 tiny bomblets that are supposed to disperse in a 100-meter radius above the target. "Like a soccer field full of bombs," is how one artillery reservist described it. Y. says that his battalion commander said that when the IDF Apache helicopter came down near Ramot Naftali, killing its two pilots, one suspicion was that it had been hit by such a rocket that had been fired in the area at the time. It was later determined that this was likely not the cause, but the discussion of such a possibility basically amounted to an official admission that such rockets were indeed being used against southern Lebanon. How many exactly? It's hard to know. The UN people have no precise data on the breakdown of unexploded ordnance from MRLS rockets, or American or Israeli cluster shells. Shearer says it's clear that most use of the cluster weapons was made in the final 72 hours of the war. "In the beginning of the war, too, there were reports on the use of cluster bombs," he says. "But only a few. In the three last days, a tremendous amount of them were fired. It's also hard to know where they were aimed. The dispersion of the bombs is so wide that even if the original target were outside a populated area, many bombs fell amid the houses." Y. and S. confirm this appraisal of events. "In the last 72 hours we fired all the munitions we had, all at the same spot," says Y. "We didn't even alter the direction of the gun. Friends of mine in the battalion told me they also fired everything in the last three days - ordinary shells, clusters, whatever they had." Yesterday Israel lifted its eight week long air blockade on Lebanon which had paralyzed the country's sole international airport and forced thousands to travel in and out of the country via Amman or Damascus. However, the Israeli navy is continuing to enforce the sea blockade even though it had stated earlier that it will halt the entire embargo on Lebanon. Israeli officials declared that the sea blockade will only be removed when an international naval force is in place. Lebanon, which had expected Israel to end the air and sea blockades simultaneously, was told by the UN there was a "small technical problem". The blockade, which has been costing Lebanon’s economy some $50 million a day, is expected to be removed in the next 48 hours at most – as soon as the UN finalizes working out logistical issues about patrolling Lebanon’s 250km shoreline. I have to admit that I feel sorow for the Palestinian people who continuously have to suffer from lack of freedom in the world’s largest prison. After living through an 8-week embargo (and counting), I can come to say that there is nothing better than being free. And no, we will not allow Iranians to rule our country as much as we won’t allow Israelis to impose their will on us. All the national, state and local Jewish organizations in the US have launched a $300 million fund-raising and propaganda campaign in support of the 21 Jewish civilians and 116 soldiers killed during the Israeli invasion of Lebanon (but not the 18 Israeli Arabs who were excluded from Jews-only bomb shelters). As adjuncts of the Israeli Foreign Office, not a single one of the 52 organizations which make up The Presidents of the Major Jewish Organizations in the US voiced a single public criticism of Israel's massive destruction of civilian homes, hospitals, offices, supermarkets, refugee convoys and churches and mosques, and the deliberate killing of civilians, UN peacekeepers and rescue workers with precision bombing. On the contrary, the entire Jewish lobby echoed in precise detail the Israeli lies that the Lebanese deaths were caused by the Lebanese resistance's "use of human shields," despite the total devastation of the heavily populated southern suburbs of Beirut, completely out of range of any Hezbollah rockets. The magnitude of the Jewish Lobby's cover-up of Israel's massive military assault can be measured in great detail. The Israeli Defense Forces (IDF) launched 5,000 missiles, five-ton bunker-buster bombs and cluster bombs as well as anti-personnel phosphorus bombs each day into Lebanon for 27 days - totaling over 135,000 missiles, bombs and artillery shells. During the last seven days of the war Israel launched 6,000 bombs and shells per day - over 42,000, for a grand total of 177,000 over a heavily populated territory the size of the smallest state in the US. In contrast, the Lebanese national resistance launched 4,000 rockets during the entire 34-day period, an average of 118 per day. The ratio was 44 to 1 - without mentioning the size differentials, the long-term killing effects of the thousands of unexploded cluster bombs (nearly 50 killed or maimed since the end of hostilities) and Israel's scorched-earth military incursion. The Jewish lobbyists publish the number of Israel's civilian dead as 41, forgetting to mention that only 23 were Jews, the remaining 18 were members of Israel's Arab Muslim and Christian minority who constitute around 20 percent of the population. The disproportionate number of Israeli Arabs killed was a result of the Israeli government policy of providing shelters and siren warning systems to Jews and ignoring the security needs of its Arab citizens. The proportion of civilian deaths to soldiers was 41 to 116 or 26 percent of the total Israeli dead (but if we only consider Jewish Israelis and IDF members the proportion 23 to 116 or 16 percent of the Jewish dead were civilian.) Clearly the Lebanese resistance was aiming most of its fire at the invading IDF. In contrast, in Lebanon, of the 1,181 so far known to have been killed, 1088 were civilians and only 93 were fighters. In other words 92 percent of the Lebanese dead were civilians - over three times the rate of civilians killed by the Lebanese resistance and almost six times the rate of Jewish civilians killed (the only ones who count in the lobby's propaganda machine). To put it more bluntly: Over 47 Lebanese civilians were slaughtered for each Jewish Israeli civilian death. The Jewish lobby's claims of Israeli moral and military superiority in the Middle East - which is paradoxically combined with warnings that Israel's survival is at stake - has been shredded to tatters as a result of their failure to annihilate Hezbollah. In plain English, the Jewish networks and lobbies were able to secure 98 percent support from Congress for a resolution supporting Israel's invasion of Lebanon, even as 54 percent of Democrats and 39 percent of Republicans favor a policy of neutrality as opposed to alignment with Israel. (Times-Bloomberg Poll, July 25-Aug. 1, 2006, published in the Jewish Telegraph Agency - Aug. 15, 2006) The lobby convinced, pressured and threatened the White House to prolong the Israeli terror bombing as Harris so proudly announced. The Jewish Lobby does work "day in and day out" to make sure that Israel can ethnically cleanse Palestine, drop five-ton bombs on Lebanese apartment buildings, bulldoze villages and isolate the US from even its closest allies at the expense of the US taxpayers, our democratic ideals and our sovereignty. And the American Jewish Committee has the chutzpah (arrogance) to say that it is "our mutually beneficial link." Now that is a bit of political dishonesty! After four weeks of devastating Israeli air raids across Lebanon, American news network NBC began its Nightly News bulletin with its anchorman, Brian Williams, asking: "Does the US really have any influence in this war?" Hours earlier on sister network MSNBC, anchorwoman Chris Jansing seemed to be at a similar loss. "Can anything be done to stop the violence?" she asked. But to an American audience, the thought of a Syrian or Iranian news anchor posing the same questions would be fit for a comedy skit. After all, the Syrians and Iranians wield an obvious "influence" over the course of the conflict according to the NBC channels, which like CNN, Sky and many other Western new organisations reported relentlessly on claims that Hezbollah’s rocket imports were made possible through the help of its two "rogue" allies. But where was the parallel analysis of multi-billion dollar weapons shipments bound for Israel from the United States? Most Western broadcasters reported religiously on the number of rockets fired at Israel each day of the month-long conflict, often comparing fresh figures with those of previous days and weeks, even peppering the audit with analysis and commentary. Absent however was almost any accounting of the daily tonnage of US-manufactured munitions dropped from an unknown fleet of US-manufactured jets levelling an untold number of Lebanese homes and villages. On American television screens, the US role in this conflict was a relatively sanitised one, pictured as diplomatic rather than military; seen across negotiating tables and in visits to foreign capitals — a far less sinister role than that repeatedly attributed to the Iranians and Syrians over allegations of their financial and logistical support. In fact, so penetrating was the alleged connection that some channels, such as Bloomberg Television, began referring to Hezbollah on second reference as merely "the Syrian- and Iranian-backed group". But why did Bloomberg not choose to identify Israel, the largest official recipient of US foreign military assistance for decades, as "the US-backed state"? Whether the decision was deliberate or unconscious, the prevailing notion of non-military US involvement is just one of many underlying assumptions communicated by the US media about the conflict between Israel and Lebanon, assumptions that were continually reinforced in comments made by anchors and by hired analysts. Viewed as part of an overall package, the assumptions appear to reflect US foreign policy, particularly the relationship with Israel, much more than the pursuit of journalistic objectivity. Of course it would be unfair to generalise by suggesting that the Western media did a poor job of covering this war. On the ground in the midst of air strikes, ground fire and naval attacks, American and European journalists, particularly those reporting from south Lebanon, genuinely risked their lives to tell the story. The efforts of many Western reporters operating out of towns such as Tyre at a time when the Israeli military vowed to fire on any vehicle that moved were no less valiant than those displayed by their colleagues from the Arab media. However, a clear difference emerged between battlefield reporting and the animated conversations that went on thousands of miles away in air-conditioned studios. At some points it even appeared as if the two were completely contradictory. Beginning with the war in Iraq, American media outlets developed an obsession with hosting former military personnel as analysts, so much so that it now appears as if large American networks have become a sort of retirement programme for the US military’s top brass. An inherent problem with this formula is a tendency to reflect the views and strategic interests of the US government rather than offer critical analyses that shed light on the complex realities of the battlefield. Take coverage of the Israeli commando raid on Baalbeck during the third week of the conflict on August 2. The Israeli military had reported that it kidnapped five Hezbollah members, but MSNBC's reporter on the scene quoted local villagers who said those apprehended were "just nobodies". Hezbollah also claimed that ordinary civilians, not fighters, had been kidnapped. Meanwhile Israeli newspaper Haaertz quoted Lebanese sources as saying that more than a dozen civilians were killed in the attack. Details may still have been sketchy on the ground in the Bekaa valley but in MSNBC's East Coast studio, the view from its military analyst, Rick Francona, was starkly clear. Francona, a former lieutenant-colonel in the US Air Force, swiftly praised the attack as an "excellent raid" and "well done" on Israel’s part. He then began to postulate confidently about the motives behind the operation, saying "Israel obviously had intelligence of high-profile targets" and naming Hassan Nasrallah, the Hezbollah leader, as a possibility. But even Israel’s chief of staff, Dan Halutz, appeared to be playing down the operation, with an article in Haaretz quoting him as saying "the soldiers had not aimed to take any individuals in particular, but rather to demonstrate that the IDF [Israeli military] could reach any part of Lebanon". Not only does Francona manage to analyse the situation solely from Israel’s point of view, but his optimism even appears to exceed that of the Israelis themselves. Weeks later, on August 23, the Lebanese press would post pictures of the Baalbeck captives returning home, indicating that all five men had been returned to Lebanon through the International Committee of the Red Cross, which served as a liaison with the Israeli military. The chief suspect had been Hassan Nasrallah; not the leader of Hezbollah but an elderly village farmer that shared the same first and last name. "They wanted to use us for propaganda about the arrest of Hassan Nasrallah," the former detainee told Lebanon’s Daily Star newspaper in a reference to the Hezbollah leader. Among the other returned captives were relatives and friends of Nasrallah, the farmer that is. Looking back at the initial coverage, one would wonder why MSNBC and countless others chose to report the claims of the Israeli military machine over those of witnesses on the scene. The Baalbeck incident was by no means isolated. Time and again, the TV generals seemed so confident in Israel's stance that any talk of malicious activity was dismissed regardless of pending investigations. Another case in point was Israel’s attack on a UN post, killing four observer troops, on July 26. Kofi Annan, the UN secretary-general, quickly condemned the strike as "apparently deliberate", noting "a co-ordinated artillery and aerial attack on a long-established and clearly marked UN post". The Irish foreign ministry said one of its officers at the post had made at least six warning calls to the Israelis during their bombardment. Reports also emerged of email correspondence from a Canadian soldier giving warning that the Israelis had been striking near the UN position for "weeks upon weeks", according to the soldier’s wife who was quoted by Canadian TV as calling the Israeli attack "intentional". Meanwhile UN officials quoted by Reuters said "the firing continued even as rescue operations were under way", while Annan called for a "full investigation" into the "disturbing incident". But these multiple claims seemed to be of little consequence to the CNN military analysts back home. A retired US Air Force general employed by the station dismissed the controversy outright, saying the Israeli strike was simply "a screw-up, a major screw-up". Assumptions over Israel’s intentions were not limited to analysts but also to senior journalists, such as Tim Marshall, Sky’s foreign editor, who confidently labelled the attack as "inadvertent" and "an accident waiting to happen" on the same evening as it had occurred. It was almost as if Marshall were pre-empting the Israeli government’s apology and denial of wrongdoing, which would not come until the next day. Instead of adopting a cautious approach to a developing story - as any good journalist would - the authoritative voices from CNN and Sky seemed merely to reflect the views of Israel and its allies. Listening to a press statement from the US ambassador to the UN, John Bolton, it almost seemed as though the press outlets had become a conduit for official statements. "We take them at their word," Bolton said of the Israeli reaction. "There is no evidence to the contrary." Less than a week after the killing of the UN observers, the headlines shifted to another attack by Israel, this time in Qana where at least 28 civilians, including 16 children, were killed as a result of air attacks. Qana also happens to be the site of an attack by Israel in 1996 that killed more than 100 people - Israel denied responsibility at the time but subsequent UN investigations were inconclusive. Israeli officials also denied responsibility for the more recent bloodbath, accusing Hezbollah of somehow staging the attack by firing from the area, using the civilians as human shields. Israel's UN ambassador, during a speech at the Security Council, even went so far as to entertain the possibility that Hezbollah "wanted and wished" for the mass killing. American news outlets began to pick up the claim, despite the absence of ground reporting or any other kind of supporting evidence. As bodies were being carried out of the rubble, a CNN anchorwoman in Atlanta turned to an Arab media analyst and asked if Arab TV channels acknowledged Hezbollah's use of civilians as human shields. The analyst did not refute the claim but merely indicated that Hezbollah criticism was a taboo subject for regional news networks. Later CNN military analysts would describe Hezbollah as a "terrorist organization" that breached Geneva Conventions by using human shields. Despite the lack of physical evidence in either direction, it seemed just as easy for the in-studio analysts to assume Israel's innocence as it was for them to assume guilt on the part of Hezbollah, even when the Israeli military did the actual shooting. Israel’s third "accident" came on August 11 when six innocents were killed as its missiles struck a civilian convoy fleeing the bombardment in South Lebanon. The vast disparity between Lebanese civilian deaths and those of Israeli civilians remained formulaic throughout the war, but the TV generals seemed to tell a different story, constantly using the adjective "indiscriminate" to describe Hezbollah’s rocket attacks and "very accurate" in describing Israel’s tactics and weaponry. In fact, on several occasions, Israeli officials interviewed by American broadcasters touted Israel’s policy of restraint and gave warning of the country’s ability to pursue a "scorched earth policy" in Lebanon. Interviewers often accepted such a response either by ending the interview at that point or moving on to different questions. One can hardly imagine an American interviewer remaining silent if an Arab official spoke of flattening the Jewish state in such genocidal terms. Few phrases were repeated more often during this war than that of "Israel’s war against Hezbollah" and "Israeli strikes on Hezbollah targets" mainly in South Lebanon and the southern suburbs of Beirut. The examples of this usage on NBC, CNN, Sky and many, many other channels were simply ubiquitous throughout the month of war coverage — the two phrases used many times a day as an introduction to the whole package of reporting, all framed as a war solely on Hezbollah. However, on the ground, there could not have been a more unrealistic assessment of reality. According to a report released by Oxfam on August 14, the destruction across Lebanon included "7,000 homes, 160 factories, markets, farms and other commercial buildings, 29 water and sewage-treatment plants, electrical plants, dams, ports and airports, 23 petrol stations, 145 bridges and overpasses; 600 kilometres of roads". The figures do not include damage to television towers, which were attacked in at least four different places across the country, disrupting signals and causing millions of dollars in damage to the Lebanese broadcasting industry. Where were the TV generals to explain the threat of media coverage to Israel’s war on Hezbollah? Lebanon’s entire transnational road system was incapacitated by Israeli missiles, but when anchors rationalised this by speaking of "Hezbollah supply lines", where were the military men to explain that weapons could easily be smuggled through back roads and mountain passages? Was it clear that Hezbollah did not have its own discreet transportations routes to begin with? And when the Lebanese international airport was struck repeatedly, where were the generals to explain that rockets had traditionally been carried into Lebanese territory on flat beds and not commercial airliners? The battlefield analysts seemed so transfixed on analysing Israel's invasion tactics that they rarely looked at the conflict from the opposite end of the map. So much airtime was devoted to Israeli commanders and military spokesman claiming victory, but Hezbollah representatives seemed to have been boycotted by the American press much as they had been boycotted by the American government. In reality, Hezbollah was claiming victories of its own, but at times it seemed as if the American media were too busy reflecting their government’s viewpoint to have noticed. The TV generals dutifully relayed Israel’s daily claims of destroying rocket launchers and medium-range missiles by shading overhead maps with digital pens. But rarely did they discuss Hezbollah's attacks on scores of Israeli Merkava tanks in what was seen as valiant effort at resisting one of the world's most powerful military machines. If the shading of military maps proved too complicated for the American public to comprehend, broadcasters and commentators often broke down their assumptions in more basic terms. When Israel, for example, decided to launch a land invasion to claim all Lebanese territory south of the Litani river, CNN’s Wolf Blitzer simply referred to the attack as "what some are calling a new Normandy," and "Israel’s D-Day"; a reference to the Allied powers' invasion of Nazi territory in World War II. When Blitzer began to discuss that day’s events on the battlefield, he, like dozens of other American broadcasters, spoke of Hezbollah rockets landing in "Israeli neighbourhoods". Israel on the other hand, retaliated by bombing "Hezbollah strongholds". But in reality, these strongholds were also neighbourhoods and support among their residents for Hezbollah could not have been any less than Israeli citizens' support for their own military. If Hezbollah areas cannot be considered neighbourhoods, then why not refer to Israeli neighbourhoods as "Israeli military strongholds"? After all, a recent report in the Guardian newspaper in Britain by Jonathan Cook alleged that Israel also built military installations and mortar batteries near residential areas. In any case, the lack of balance is problematic: it conveys humanity on the one side and vague militarism on the other. As another example, Blitzer conducted one of two CNN interviews with the grieving wife of an Israeli soldier kidnapped by Hezbollah. But where were the parallel interviews with the families of Lebanese held by the Israelis? How could audiences really identify with the other side if all of its emotive, humanising details were repeatedly omitted? In a show that aired on MSNBC during the first week of the conflict, Chris Matthews illustrated daily life in Haifa by comparing it with a city in California; "very modern", he explained. Cosmopolitan Beirut, on the other hand, where the nightlife rivals any capital in Western Europe, did not get a mention in the entire show. Detail from Israel also entered the religious realm during a separate broadcast with Rita Cosby, an anchorwoman who qualified a report of rocket attacks on the city of Nazareth as an attack on the "home town of Jesus". But where was the mention of Jesus’s wine-making miracle in the Lebanese town of Qana during the mass killings that took place there? And what of the many other biblical references across Lebanon, in Tyre and Sidon when the two cities were subjected to continuous Israeli shelling? In the end, some broadcasters ditched the metaphors altogether. Tucker Carlson, an MSNBC talk-show host, actually criticised Israel’s tactics in fighting Hezbollah while interviewing an Israeli spokesperson. But he made no qualms with objectivity during his concluding statement. "I hope you succeed," he told the Israeli official. "And I hope you do it quickly." Can one imagine an American broadcaster ever conveying such enthusiastic support to a Hezbollah official? What about the Shia opinion?